Now you can view several HEX by ADR pieces, plus other works by Adrian Zavala at Puesto Sandwich Stand in Lakeview. 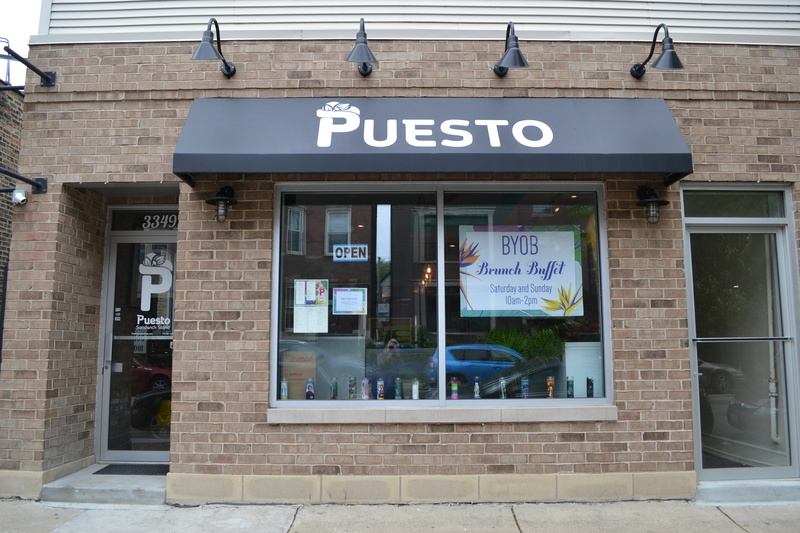 Stop by to enjoy arepas, various hot Latin-inspired sandwiches and more. And by inspired yourself by the vibrant art hanging on the walls. 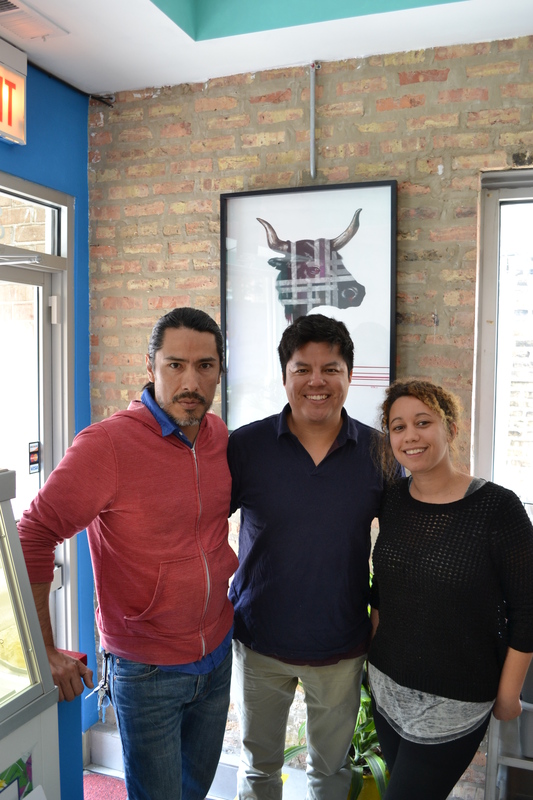 Thank you to Vivian and Armando for bringing Adrian’s work to the neighborhood! And stay tuned for the soon-to-open patio this summer.